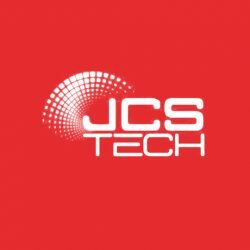 Australian owned and operated JCS Technologies is a leading optical cabling solutions manufacturing and distribution company which has been serving the Australian IT industry since 1994 and providing convenient, quality service backed by a wealth of technical and market knowledge. Partnerships with industry-leading Australian and international technology providers, combined with our local expertise and manufacturing capability enable JCS to offer high quality robust solutions for defence, enterprise, industrial & mining, broadband and broadcast projects in Australia and internationally. Our in-house fibre optic capability is second to none including state of the art testing and termination equipment. We offer patch cords, pigtails, pre-terminated fibre cable assemblies, fibre enclosures as well as a full range of adapters and cleaning tools required to manage and maintain a fibre optic network in today’s high-speed world. The JCS team understand the diverse needs of end users for product reliability and performance, technical expertise, fast turnaround and competitive pricing.